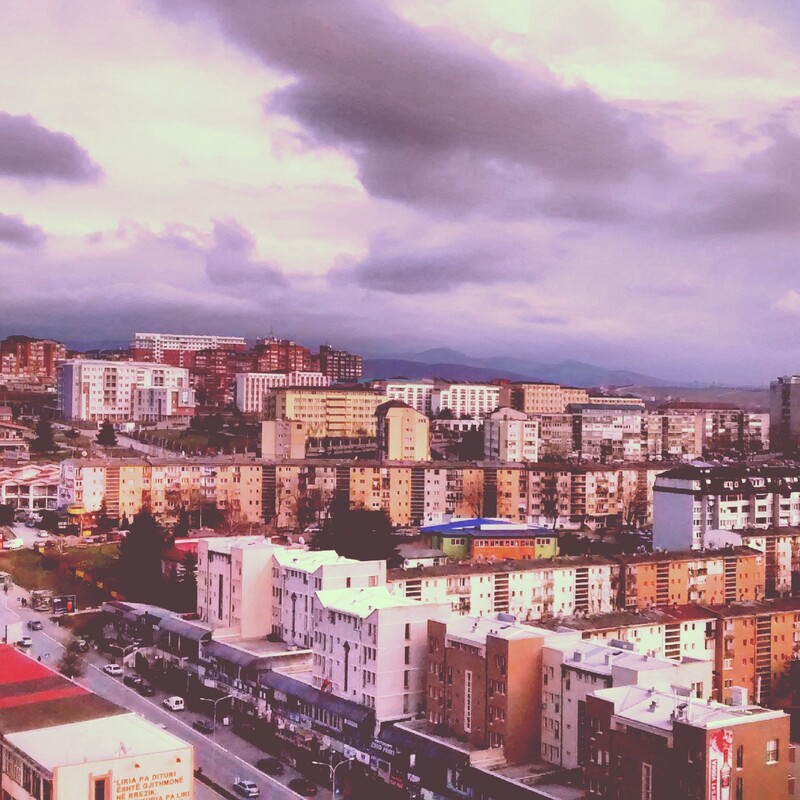 Although I’ve had my fair share of rage with neighbours who never shut up, throw trash in the hallways, and leave the door to the building unlocked at night, I still believe that neighbourliness isn’t dead in Prishtina. Regardless of the daily frustrations of living here, there are moments of real camaraderie that still occur in the city. Case in point: last winter, a friend house-sat the apartment my partner and I share with our two cats while we were away. On New Year’s Eve, one of our cats slipped through the front door and ran straight to the apartment building’s basement. It was dark, it was freezing, and it was literally a few hours before the new year. Amazingly, everyone our friend called from our handwritten list of emergency contacts showed up to help catch the cat: the downstairs neighbours, my aunt and cousin who live nearby, and our veterinarian and his relative, all of whom were enjoying their evenings before being called upon to chase a cat in a freezing, dark basement. The whole operation was a complex strategy involving more than two cat goalies and two main cat tacklers. I received the occasional update on Viber a continent away, completely convinced that the cat was gone forever. It took approximately 2-3 hours, but after several tries, Shkurte (the cat) was safely brought back upstairs. Or there was the time when I was at my wit’s end trying to deal with a leak from a radiator pipe that had done serious damage to a kitchen wall. The leak had reached my downstairs neighbour, who demanded that I deal with it since I live closer to the source of the problem. A visit from Termokos confirmed that it was the upstairs neighbour had the leaky radiator. The only issue was that this neighbour, who I had never met, also happened to live outside of the country. Immensely annoyed, I asked everyone on my floor and the floor above me for the number of the leaky-radiator-neighbour who lives abroad. I got my answer two floors up from an older woman who had lived in the building ever since it had been built. Not only did she give me the neighbour’s phone number, she invited me in, gave me coffee, asked about my life, and told me to come and see her for any further help I needed. I’ve had neighbours who let me stay with them when I’ve forgotten my keys. I’ve had neighbours who helped my family and I get out of a stalled elevator. I’ve had neighbours help me carry heavy things. And I’ve had neighbours who never fail to say good morning or goodnight whenever we pass each other on the stairs. Clearly, there’s still civility to be found in this city, it just may take more of a conscious effort to create a sense of community with one’s neighbours in a city with so many recent inhabitants, especially in newer neighbourhoods. Writing for Sbunker, Nora Hasani Llapashtica gives an excellent example of what this looks like in Mat 1, a neighbourhood known for being a sprawl of haphazardly spaced apartment buildings. For no reason other than to make their living space more pleasant, inhabitants of Mat 1 decided to paint murals on two sheds used for storing the neighbourhood’s garbage bins. They sketched out the murals, got permission from the city, raised money amongst themselves and painted the sheds with their children. The newly painted sheds, of course, represent much more than just a more colorful place to store garbage bins. It’s a way for neighbours to come to know each other and work together. It’s a way to instill a sense of ownership and pride in the neighbourhood. An accumulation of interventions of this sort will plant the seeds of what could become a vibrant community of neighbourhoods. The residents of Prishtina are ready for this, they just need a little encouragement. This article was originally published on Prishtina Insight. Previous TEDxPrishtinaWomen is looking for speakers!